When thinking about hiking in Canada, I would bet that most people would probably mention British Columbia or Alberta first (I’m guilty too). However, I recently discovered that the province of Québec is supremely underrated as a hiking destination. 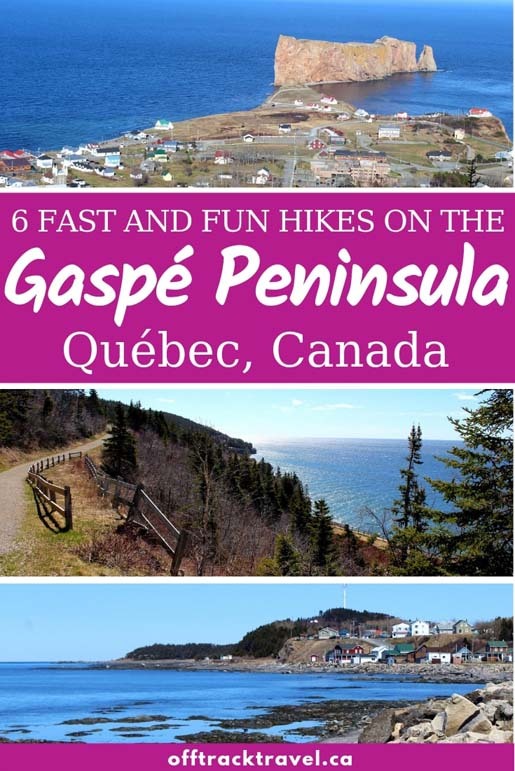 The varied landscape of mountains, rugged coast and dense pine forests on Québec’s Gaspé Peninsula, in particular, is the perfect mix for great hiking opportunities. 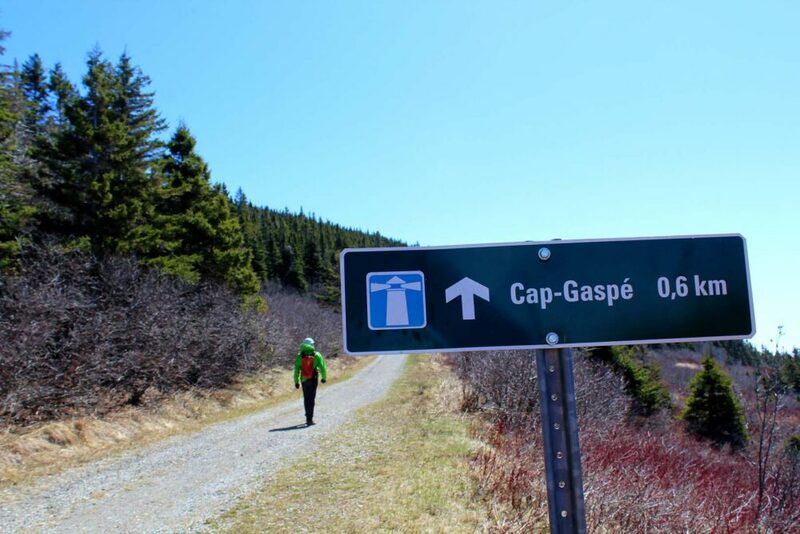 From short 2-3km strolls to multi-day backpacking trips, there’s a little something for all levels of hikers on the Gaspésie. 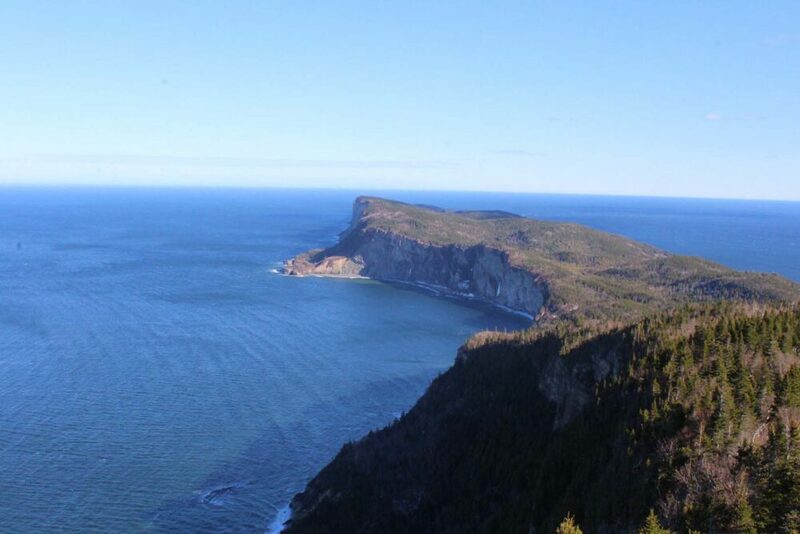 For the most dedicated, the Gaspé Peninsula also hosts over 800km of the International Appalachian Trail, a designated grand randonnée. While I love a long hike, I also enjoy fitting short day hikes into a travel itinerary. 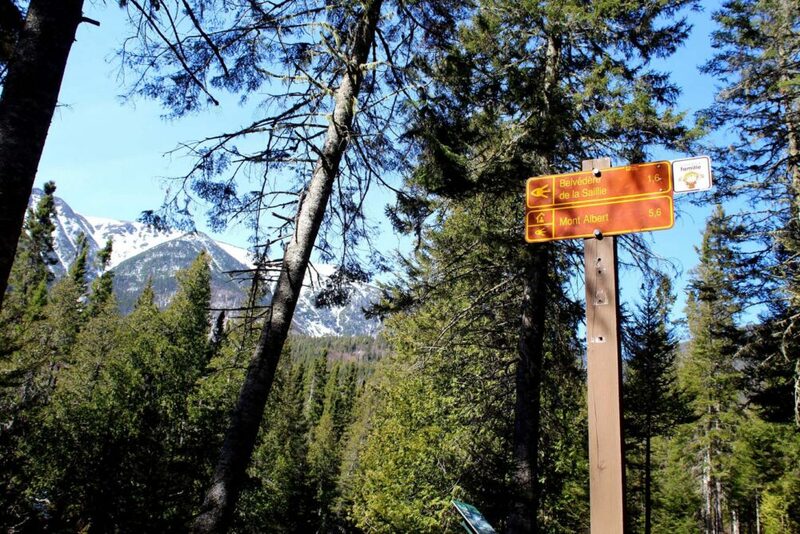 Not only is hiking a good way to stretch the legs after hours in the car, but it also offers a chance to connect with nature and explore beyond the beaten path. 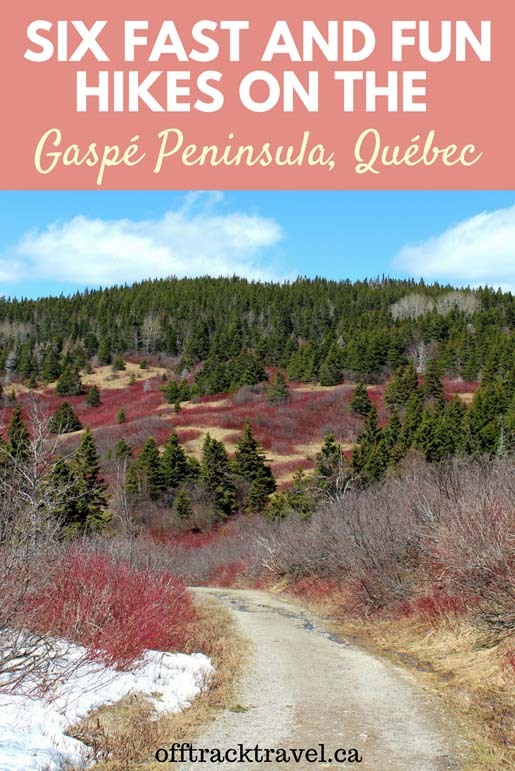 The following trails ideal for out of season visitors to the Gaspé Peninsula, however, they would also be perfect for active families, casual hikers and those with limited time. 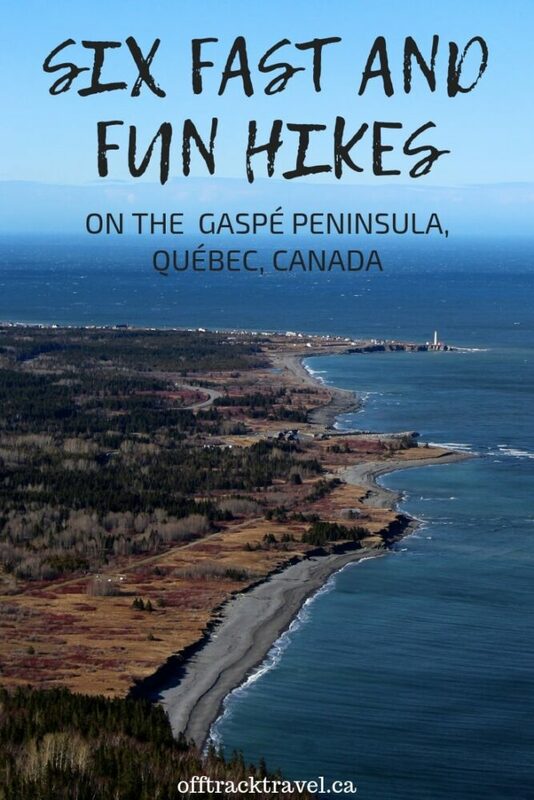 Visiting the Gaspé Peninsula in May, we weren’t sure how many hiking opportunities there would be. 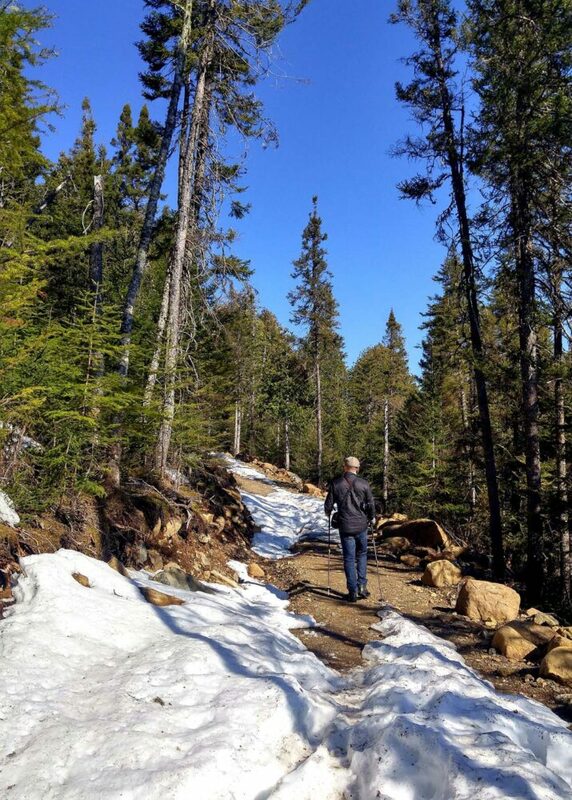 May is that difficult inbetween season in which it is often too snowy for easy hiking on higher trails and yet not quite snowy enough to use snowshoes properly. 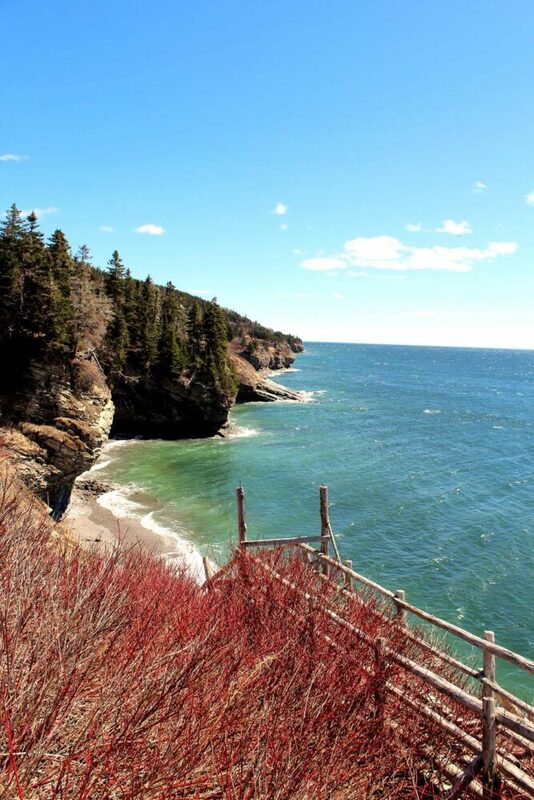 May is also firmly outside of the main Gaspé Peninsula tourist season. For this reason, we had to keep in mind that some trails would be completely closed or undergoing construction. Our fears were (thankfully) unfounded and we actually found plenty of short, interesting hikes to keep us busy. Before heading onto the trails, however, we asked the advice of locals and park rangers first. We also always carried the 10 Essentials with us, in case we were unexpectedly delayed for any reason. 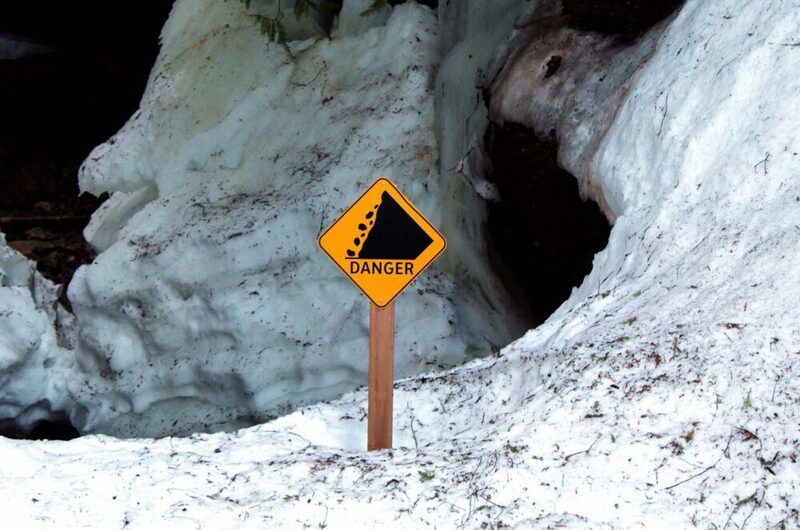 The trails are quiet at this time of year and the weather conditions can change quickly. This post includes some affiliate links. If you make a qualifying purchase through one of these links, I may receive a small percentage at no extra cost to you. 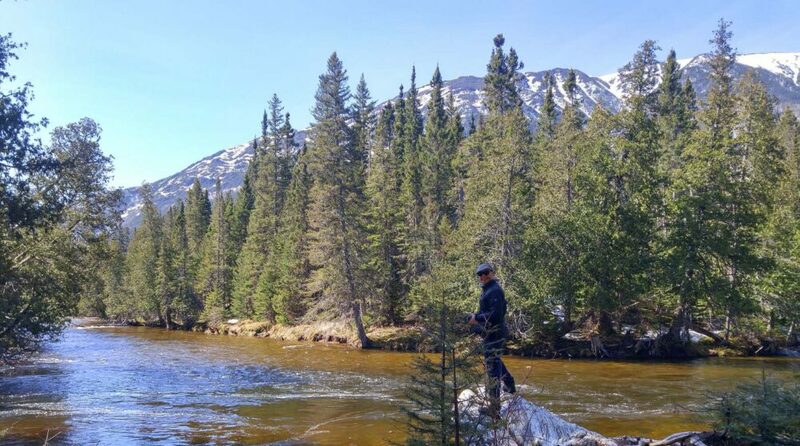 Just a short drive inland, the lush, mountainous terrain of Gaspésie National Park feels like a world away from the Peninsula’s fishing villages. 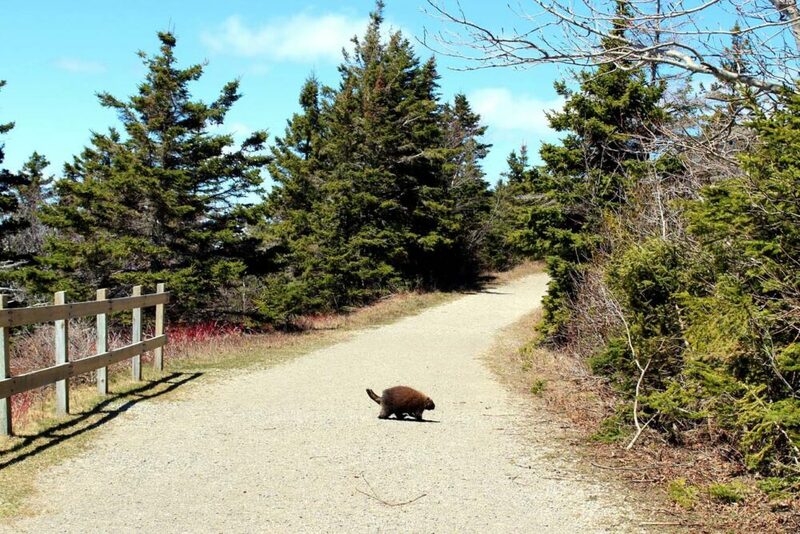 The hiking season is usually mid-May to mid-October. Our hiking picks were based on recommendations from a park ranger, who advised us about snow conditions and closures. These are technically two very short hikes but combined together they provided an easy 3km loop. We hiked it anti-clockwise. 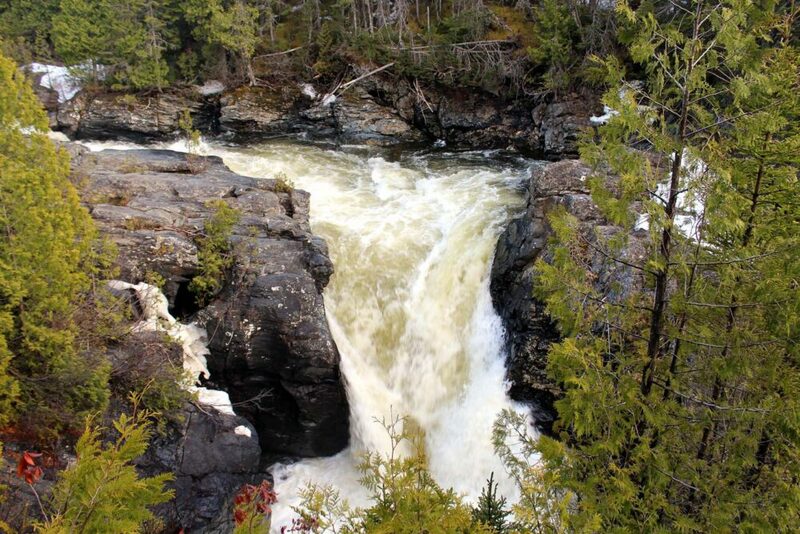 The trail is mostly wooded until the impressive Chute Saint Anne lookout (flowing hard in May!) and then gains a little elevation before reaching the Lucarne observation tower. Uphill most of the way, this intermediate trail (3.4km return) is a short and sweet journey to beautiful views of the valley. If you only have time for one short hike, this would be my choice. The lookout at 1.7km. While steep, the terrain is easy and travels through a shaded forest, accompanied for a time by a stream. 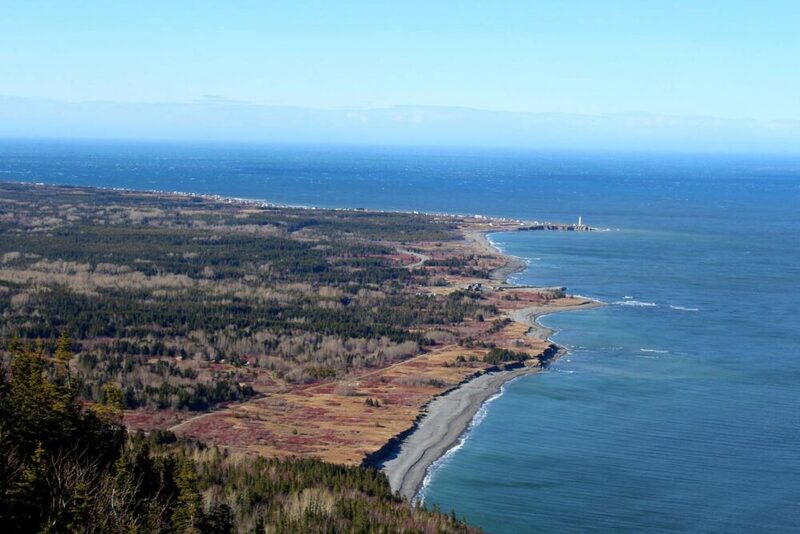 If we had visited Parc de la Gaspésie during the summer, the number one day hike on our list would have been the Mont Albert trail. 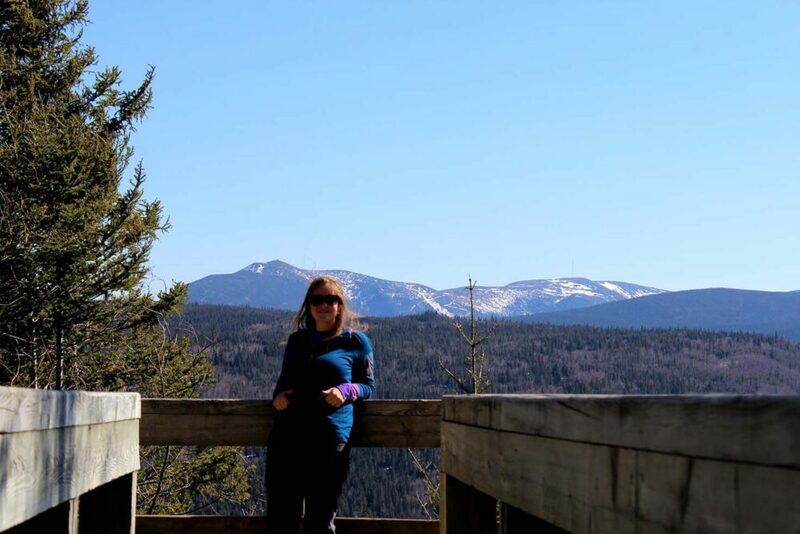 Sometimes cited as one of the best hikes in the whole of Québec, the difficult Mont Albert trail leads to a huge summit plateau with panoramic views of surrounding mountains and lush valleys. Another popular hike is to the summit of Mont Jacques Cartier, the highest mountain in southern Québec. 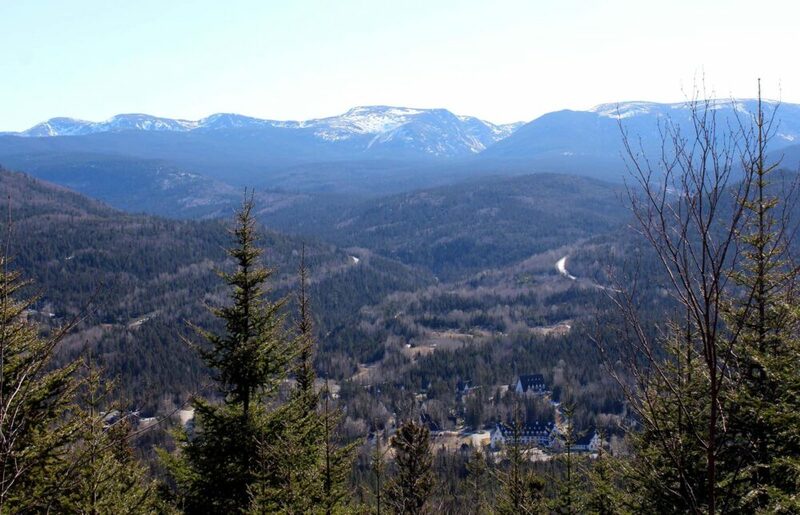 The trail also offers the chance to see the endangered Gaspésie Caribou. Book a stay now at the Gîte du Mont-Albert in Parc de la Gaspésie. 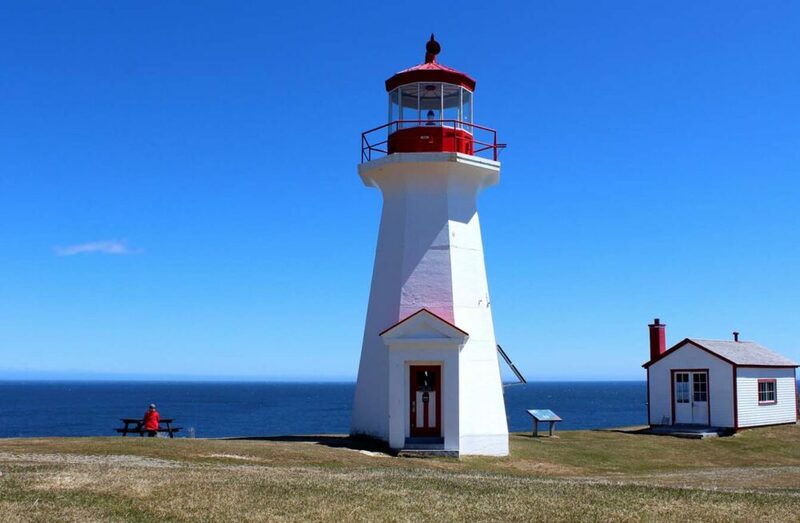 Located at the tip of the Gaspé Peninsula, Forillon National Park has a real end-of-the-world feel about it. The ocean has dramatically shaped the landscape here, creating steep cliffs, wide coves and pebbly beaches. Part of the much longer Les Graves trail, this 8km return trail starts at the end of the Boulevard de Grande Greve. 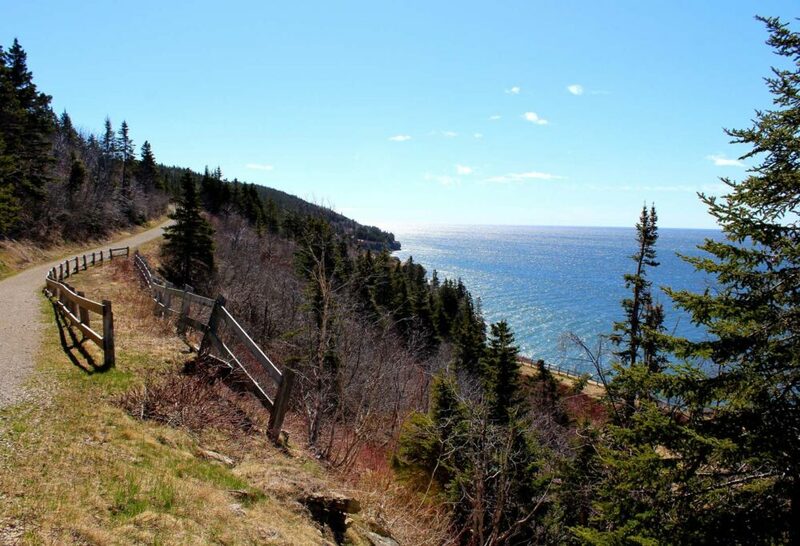 Almost entirely flat, the hike to the Cap-Gaspé Lighthouse is both easy and incredibly scenic. It is also the start (or end) of the International Appalachian Trail. The hike to the Mont Saint Alban observation tower has two trailheads. The route from Petit-Gaspé is gentler and shorter, at 3.6km return (alternatively, 7.2km for a loop). Fairly steep at first, the effort is definitely worth it to see the panoramic views of Forillon’s rugged coastline from above. 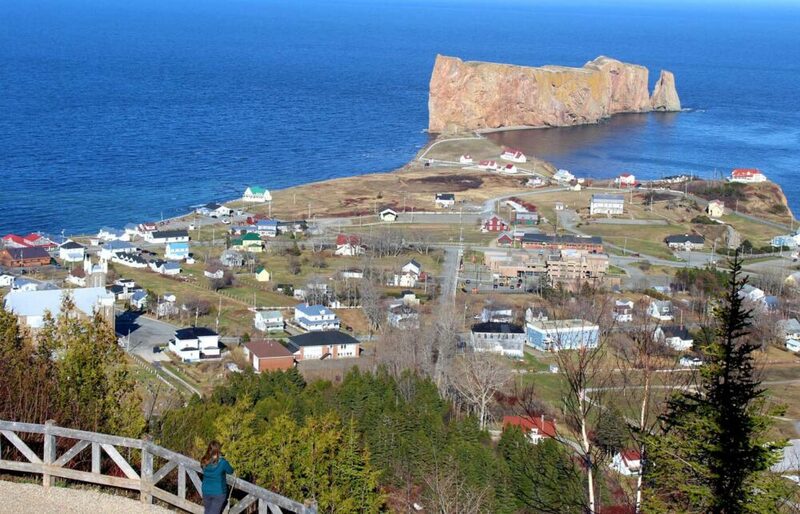 The town of Percé is best known for the huge striking rock formation jutting out from the bay. The arch within the rock is one of the world’s largest. Percé Rock is a stunning sight, no matter the angle you see it from. But there is more to Percé than this one rock. Recently designated a UNESCO Global Geopark, the Percé Rock is just the best obvious example of the rich geological heritage in this area. To learn more, take a trip to the Géoparc de Percé, a relatively new community-driven project that celebrates everything rock related. To this end, they have developed a number of local trails to surrounding geosites. I’d recommend checking out the excellent interactive Tektonik exhibit before picking up a trail map. Accessible from the back of the Géoparc campground or the end of Rue de l’Église, this trail gains elevation quickly on a gravel road. After turning onto the trail proper, it’s not too long before the lookout tower and fabulous panoramas of the bay and Percé Rock comes into view. Continue on another 300m to reach the suspended glass platform (extra charge). Instead of turning off for the Sentier des Belvédère (above), continue another 800m along the gravel road. 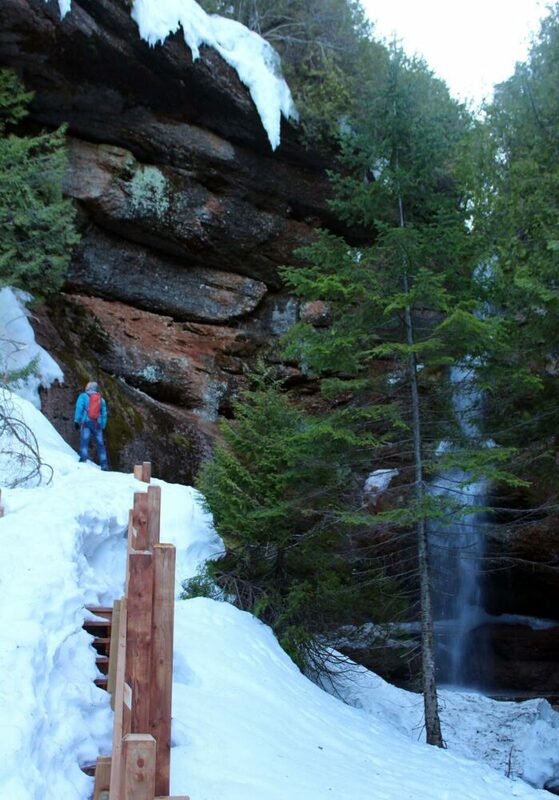 At the Grotto, a waterfall cascades down many layers of rock, forming an impressive gorge. The site has apparently been a religious pilgrimage site for many years. Looking to book a stay in Percé? Our road trip around the Gaspé Peninsula was organised by Quebec Maritime – all editorial content and opinions remain our own, as always. Would you try any of these hikes? If so, which ones? Epic views, waterfalls, wildlife, and lighthouses – I’d love each of these hikes! I had no idea Quebec was such diverse in landscape and full of so many great hiking trails! When we make it out to Quebec (one day…), I want to hike ALL of these!! The French brings back memories of French classes (seems like a lifetime ago…). Awesome! Quebec is a province with so much to offer and you can brush up on your French too!